Miss Alice Catherine Cleaver, 22, was born on 5 July 1889 in Kentish Town, St. Pancras, London, the daughter of Joseph Cleaver (Postman) and Lavinia Alice Cleaver (née Thomas). At the time of her birth, the family lived at 42 Marquis Road, Pancras1,2. While she was still in her teens Alice started working as a nursemaid to fashionable English families. In 1911 she was working as a nursemaid in the Harley St. home of the Sargeant family. She was later hired by Montreal millionaires Hudson and Bess Allison as a last minute replacement to look after their baby son, Trevor3. She boarded the Titanic at Southampton in first class under the Allison's ticket (No. 113781). After the collision on the night of 14th April 1912, Alice apparently bundled up the infant in her charge and went off to Second Class to round up the rest of the Allison household. Alice boarded lifeboat 11. Bedroom Steward William Faulkner held baby Trevor while Alice got in. Although there is no firm evidence it seems certain that the Allisons were unaware that Cleaver had taken the child off safely4. The next day, Alice Cleaver and Sarah Daniels realized that they, along with Trevor and the cook - Mildred Brown, were the only survivors of their party. When she arrived in New York with the child, Alice avoided talking to reporters by telling them her name was Jean. After the sinking, she returned to England and on 22 June 1918 she married widower Edward James Williams (born 1891), a clerk (later a surgical appliance manufacturer). They had two daughters. Alice Catherine Cleaver died on 1 November 1984 in Winchester, Hampshire at the age of 95. In 1912 she gave her father's address as 35 Camden Park Road, London. Alice had three siblings: Jenny Lavinia Cleaver (born 1890);Daisy Cleaver (born 1894); Joseph J Cleaver (born 1899). 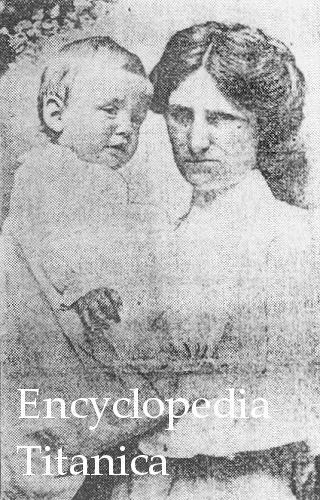 In the book Titanic: An Illustrated History, it was alleged that the Alice Cleaver who was on the Titanic was Alice Mary Cleaver, who had been convicted in 1909 of murdering the infant she had borne out of wedlock. The allegation was repeated in another Titanic book Titanic: Women and Children First, and in a made for television movie. This, at least, was the Allison family's understanding of events when Mildred Brown and Alice Cleaver told of their experience to Hudson Allison's brother George. What I believe that was she was simply in the wrong place at the wrong time and did what she felt she had to. According to tells a bit more of the story. 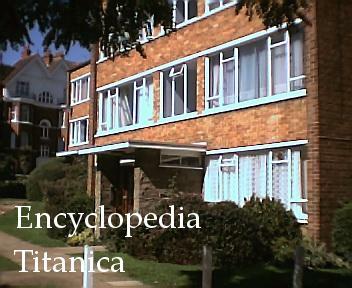 But the Titanica biography differs a bit from the book which it has suggested as reference reading 'Women and Children First' >>>This, at least, was the Allison family's understanding of events when Mildred Brown and Alice Cleaver told of their experience to Hudson Allison's brother George. My opinion of Alice Cleaver is along the same lines as Michael and Mary. She knew that she had a job to do in looking after Trevor and she did it well. It's unfortunate for all these years, that she has been confused with another Alice Cleaver that killed her baby. I'm not sure if the family has had any success in finally clearing her name. Hello Joao, While there is no solid evidence, it seems to be that the Allison's were not aware that Alice Cleaver had taken Trevor off safely. If they had known about it, there would be no reason for them to search the ship. They would have made every attempt to get into a lifeboat and if Hudson had to stay on board, I'm certain he would have made sure that Bess and Loriane were off safely. So you say that Trevor & there nurse were missing do you acctually think that the nurse capptured Trevor or is that impossible ? Also is it possible that somebody captured the nurse along with Trevor or the nurse was forsed to do it ? >>So you say that Trevor & there nurse were missing do you acctually think that the nurse capptured Trevor or is that impossible ? Showing 20 posts of 134 total. View all.